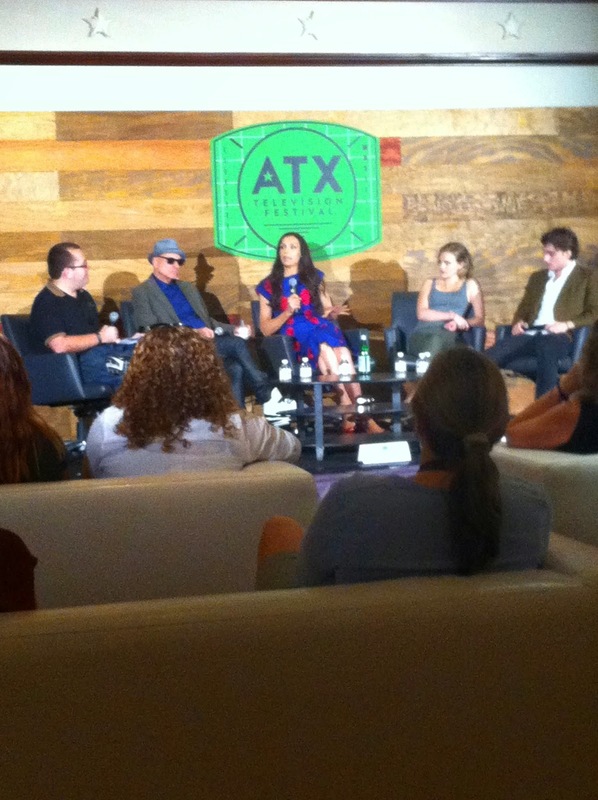 ATX Festival is a three day festival celebrating television in Austin, Texas. While young adult fiction is my passion and my career, television has its own slice of my heart. The festival was a beautiful combination of popular and critical darlings, a laid back feel and an intimate approach. I fell in love with this festival. Attendees were unbelievably friendly (I have new FB friends a-plenty) and the embracing of heightened TV enjoyment was a joy to behold. Attendees asked thoughtful questions, industry people meshed with viewers, and everyone was relaxed. Not simply a fandom event, this festival has committed itself to exploring the creatives behind the stories we watch and some of the actors that help bring it to life. It does feel as though it's on the cusp of being bigger, the presence of some autograph hounds and vulture-like fans, alluded to a more fan-ish future. 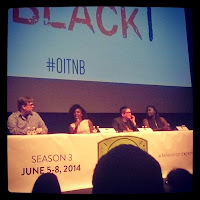 The crowd was treated to the first episode of season 2 a few hours after the entire season had been accessible on Netflix. It was such an incredible feeling being seated in the State Theater surrounded by so many people being moved, and laughing at a show we all felt passionate about. Soon after the moderator (Todd van der Wolf - AV Club) introduced Uzo Aduba (Crazy Eyes), Danielle Brooks (Taystee) and Lea DeLaria (Big Boo). The panel was sustained by the amazing charisma and chemistry of the actresses as the moderation was (to be kind) underwhelming. Beyond Bullying: What's Next for TV's LGBT teens? A late addition to the program, this GLAAD supported event featured Wilson Cruz (MSCL's Ricky) as its chair alongside Faking It's Carter Covington (creator) and Michael Willett (Shane). I was enormously excited to this panel because the representation of LGBT teens, and any diverse teens, is a rare feat in TV. Cruz began the panel with a list of openly gay characters on television and then lead a discussion about the representation, characterisation and expectation of gay teens on our screens. OINTB's Lea DeLaria attended the session as an audience member but was included in the discussion as well. It was a thought provoking panel and I'll refer those interested to this post by a fellow attendee. The generosity, kindness and thoughtfulness of each of these panel members was inspiring. In an exceedingly shallow note, I thanked Cruz for his moderation (which was stellar) as he was leaving and the man stopped and hugged me. I was shocked, and elated. The first episode of the second season was shown a week before it was televised. It was slowly paced, moving, beautifully acted and incredibly shot...just your typical Rectify episode. Actress Abigail Spencer (Amantha) was present and was quite moved by the episode (she hadn't seen it yet), as was everyone with a beating heart in that room. Matt Zoller Seitz was an incredibly prepared moderator and it lead to a deep discussion about representation of faith on television and the incredible vision of Ray McKinnon (creator). Holy heck - amazing. I've had quite a few people in Melbourne tell me that they read my post and were jealous. It was a fantastic experience and you can catch up here if you're interested. Easily my favourite panel of the festival. No cast were in attendance but that didn't matter as the co-creators Graeme Manson and John Fawcett were enthusiastic, articulate and engaging speakers. Watching episode eight of season two, and the first appearance of Tony, in a crowd of Orphan Black fans was a tremendous treat. We were asked to not spoil anything of the episode as we saw it a day or two before the public. The conversation was fantastic and the questions from the audience were on point. I was able to ask one (well, really two) about whether they had a definitive number of clones decided (their answer 'no'...quite funny considering the finale) and their favourite clone. You can hear an interview with these men, followed by the panel here. Three episodes of this military sitcom back to back to back with a free cocktail from the producers. It was lovely and oh so generous considering the show is one (season) and done. The producers seem to have hope that the crowd did not. Unfortunately as the show was well written, ably performed and starred THREE women in funny roles (without being relegated to the fun sucking nag). Cast present: Angelique Cabral, Mort Burke, Michelle Buteau and many of the producers and writing staff. Highlight: It was an enormously fun screening experience as the material was so good. But asking a question about their representation of funny women and having critic Alan Sepinwall follow my question with an additional female representation query of his own was amazing. 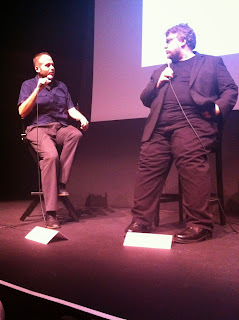 I didn't meet Sepinwall but that was mind blowing. This reunion was so much fun from Tom Amandes stories, the love this cast still has for one another, the apology videos for absent cast members (Emily van Camp, Treat Williams) and the surprise FaceTime appearance of Chris Pratt from the set of Jurassic Park 4. Front row at this event was the closest I'll ever be to that man. The format of videos and questions worked beautifully to create a cohesive session. David Hudgins was the moderator for the event and did a wonderful job of juggling a huge panel and asking meaningful questions. He was clearly nervous, his hand shook throughout his very sweet introductions of each of them, and he accidentally bypassed Sarah Drew (Hannah) which became a great ongoing bit. Of all the panels I attended, this reunion of Everwood cast and crew, was the most loving. The feeling in the room was quite emotional and creator Greg Berlanti was quite choked up by the end. I was introduced to Everwood via Sunday afternoon programming here in Australia. It wasn't shown for long so I then kept abreast by reading Television Without Pity recaps and then YouTube. It wasn't until recently that I watched the entire series uninterrupted....thank you region free dvd player. Australians don't typically know what I am talking about if I mention Everwood so it was very special to be in a room of devotees who were that appreciative of the cast and crew. Variety's summary of the panel. A weird set up where Parenthood and About A Boy shared a session due to a shared creator. The finale of the recent season of Parenthood was shown with a super short panel with Ray Romano, Jason Katims and surprise guests Lauren Graham and Peter Krause. Sadly the questions weren't much on point either so it felt like a waste of their presence. I was, however, really glad that Jaimie from Buzzfeed asked about the puzzling management of Haddie's coming out. A singular episode with very little scene time and warm-fuzzy resolution is not in line with the realistic handling of life and love that Parenthood is known for. Katims couldn't really justify the handling of this storyline because there really wasn't much to defend it. 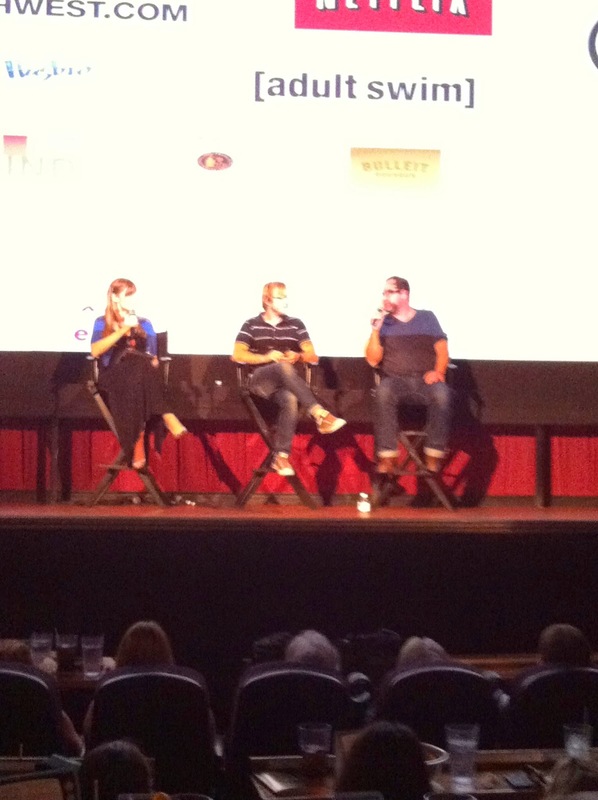 Most people left for About A Boy but Katims and Adrianne Palicki were on hand to answer questions post screening. Credit where credit is due....the Fargo line was enormous. Volunteers and staff made all people in line understand that gaining entry to this session was unlikely. I still managed to get in which seemed improbable. I hadn't watched an episode of this show and yet found myself in the front row. The tone, the cinematography and the magnificent casting make this one distinct addition to the shows available on television. I was impressed, and totally enamoured with Allison Tollman (Molly). Alan Sepinwall moderated the session brilliantly and I have now made my way through the entire series. Creator Noah Hawley, producer Warren Littlefield and actors Tollman and Keith Carradine made for a great screening/panel. The Strain is not my kind of show. I hate horror, guts and anything that is meant to gross people out. I spent the majority of the session with my fingers plugged into my ears and my body squirming. Unfortunately I was in the front row - my poor seatmates. Regardless of my discomfort, I didn't find the script, the performances or the narrative direction to be all that compelling. It seemed all rather cliche. This was saddening as the panel was a riot with (surprise guest) creator Guillermo del Toro, producer Carlton Cuse and actors Corey Stoll, Sean Astin, Kevin Durand and Mia Maestro. I wish the show looked more promising but between Stoll's wig, some saddening racial representations (lazy Latino caricatures and an African-American manservant), and an uninspired story I wasn't sold. A Fargo interview with Ben Blacker followed by Sepinwall's panel can be heard here. By my third morning of ATX I was used to showrunners and creators who less enamoured with their projects. So it was so pleasing to have a preview screening of Red Band Society and then absorb all the passion and enthusiasm producer Margaret Nagle has for this project. I work in the teen sphere so I was beyond excited to see this screening make the ATX line up. It didn't disappoint, they've cast some great teen leads in Charlie Rowe and Zoe Levin (I need to see more with the others) and the support cast features Miss Octavia Spencer who is incredible. Pilots are rarely, if ever, perfect creations and while there was a rawness to the product, you cannot doubt the sincerity, care and joy that has been placed into RBS. They're unafraid to put trust in young actors to portray big (and small) moments and it is a story and exploration of teen characters that shows much promise. A moment into the screening a person sat down next to me. I was watching the character of Kara being an absolute wench to another character and then realised the person next to me was her. Needless to say this was somewhat weird - to be watching an episode with someone so involved in a project. But Zoe Levin was great and I really look forward to seeing the layers peel back on the bitchy cheerleader trope. I was able to ask a question about the inevitable lazy comparisons to The Fault in the Stars that will be made. Nagle was aware this would happen but hadn't read the text (but was planning to), Levin was very familiar with the work (she is a teen after all) and both reiterated that it's a very different story. And it is, yes there is a teen with cancer with one leg. But there are many teens in this story with different conditions, different backgrounds and ultimately haven't been created (or trademarked) by John Green. That being said, I do hope Nerdfighters embrace RBS. I very much hope this makes its way Australian screens. The session went for 90 mins with 42 minute long screening of the pilot preceding the introduction of showrunner Jason Katims and cast Nick Wechsler (Kyle), Majandra Delfino (Maria), Brendan Fehr (Michael), Shiri Appleby (Liz) and Jason Behr (Max). The cast clearly don't hang out anymore and while it was no means an icicle fest, it wasn't as comfortable as other reunion panels or screenings. Also, the panel seemed somewhat hindered by Ben Blacker, his moderation didn't reflect his normal strong questioning skills. Wechsler and the subject of his weirdness was by far the most random and yet most endearing aspect of the panel. Regardless of their relationships to one another, they all clearly love the guy. The lack of flow, the sharing of mics, the early exit of Wechsler and the haphazard questions made for a less than smooth reunion. This was capped off when the lack question of the session came from Snooki (not kidding....wish I were) with this winner: 'Do you believe in aliens?' It was lovely to see the cast again but sadly the panel didn't live up to the high expectations that were set post-Everwood reunion. Maybe this is unfair but a strong moderator and more time with the panel may have assisted in jumping some of these hurdles. I had very little interest in this show and the panel didn't do much to sell me on it. In fact, the actors didn't seem all that involved in it either. But Famke Janssen's dress was beyond incredible. A sad way to finish my festival. Moderation was dicey. There was very strong moderation, and very sloppy moderation at work but that happens when you have a big program. The volunteers and staff were incredibly warm and knowledgeable. I appreciated that they took the time to interact with the attendees despite how busy they were. Well done to the ATX team. The bumpers to each of the screenings were funny, then amusing, then tolerable and then annoying by the end. Some actors held up better on repeat viewings (Matt Lauria), some did not (Arielle Kebbel.) It was lovely way to preface every screening and added personality before the panels came into play. The Alamo Drafthouse is incredible. I felt that the reunion sessions could have gone longer. Ninety minutes for a screening + panel didn't seem sufficient when so much effort was put into gathering these casts. Line management is an all important festival skill set and the ATX Festival team killed it. Seriously, never seen it done better. I sadly didn't attend many of the industry panels, preferring to attend the screenings/reunions. But I really wish I could have Hermione's time turner. I didn't meet Alan Sepinwall and for that I am a little crushed. Unrepresented show discussed the most by attendees? Arrow. By far. I met so many lovely people and I cannot thank them enough for their kindness in adopting me into their groups. I managed to attend every session I waited in line for - a festival miracle. I've had numerous programming people in Melbourne ask me about this festival. Hopeful this results in a Melbourne variation. 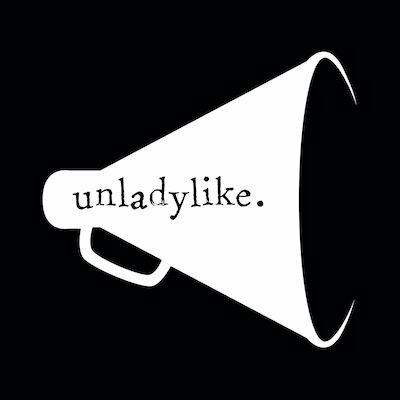 It is a festival I would recommend attending if like me you watch everything, listen to tv-related podcasts, read the work of and follow many TV critics and/or interested in the biz. The Fast Pass system worked well throughout the festival, and though it experienced issues in the ticketing phase, it made the festival equitable for all. I had a ball. I so wish I could attend next year. 2015 maybe? I think 'Red Band Society' will be my new favourite show. Wow, this sounds AMAZING! I loved seeing you live-tweet aspects of it, and I loved this write-up. I'd love to hear more about how the line management was so good - I've been attending a number of conventions lately and it's fascinating to see some really simple things being done so badly. Also, squee Roswell! I'm sorry that session didn't happen better, it was awesome in my dreams. Lastly, I was totally hooked on Fargo - Keith Carradine is one of my TV boyfriends. I first saw him as Wild Bill Hickok in Deadwood, which he was completely excellent in. But man, he was AWESOME in Fargo. Everyone was awesome, really, it was one of those incredible ensemble casts where everyone pulled their weight. Sounds great. I would've loved the Everwood reunion panel.